With temperatures dropping by the day, going on holiday to warmer places is a thrilling experience to look forward to. Whether you're going on a backpacking adventure around the world or just on a short weekend break somewhere sunny, it's important to plan your wardrobe in advance. 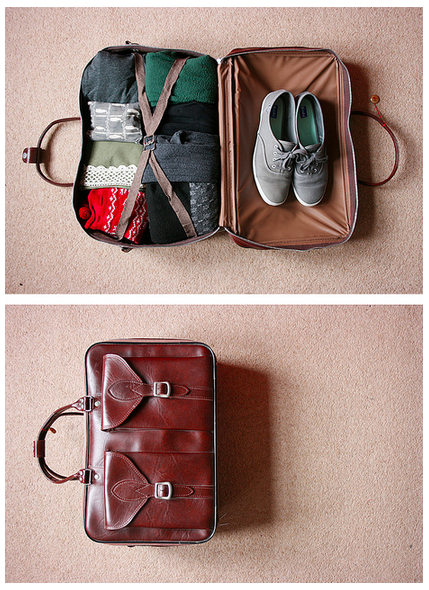 Leaving it to the last minute could mean forgetting vital pieces or packing too many unnecessary items. Compiling a list of items beforehand is the best way to start the packing process, and there are certain things you can ask yourself to choose which items to take. "What will the locals be wearing?" If traveling to highly religious regions, it's important to pack items that respect the local culture. Islamic clothing, for instance, is very modest with not a lot of skin on show, so it can be seen as profoundly disrespectful if you walk through the local towns in a crop top and shorts. Some tourist areas will be more laid-back, but if visiting religious buildings and attractions, it's important to be prepared. Pack large but lightweight scarves that can cover your arms and hair if need be. Kaftans and tunics are also a great idea as they can keep you covered but still cool in humid climates. You want to be accepted by the locals and not make a spectacle of yourself. Do your research on the local attire or the area you will be visiting to help you choose suitable items to pack. "What activities will you be doing?" If you've got a busy itinerary for your trip, make a separate list of every activity you plan on taking part in. That way, you can work out if you need to pack trainers, swimwear, or any other clothing items that complement your chosen activities. It's no use planning a five-mile hike only to forget your hiking boots, for instance. Take a look at what the local area has to offer to get an idea of what you can take part in. This will make it easier for you to plan for any eventuality and even to pack extra items that may come in handy. "What is your favorite holiday item?" Even if you've never been backpacking before, it's likely you've been on holiday at some point in your life. Think of a clothing item that you constantly wore during your last trip; maybe it was a swimsuit or a pair of sandals. If you still have these items, pack them straight away. They were obviously fitting of a holiday, considering how often you wore them. If you don't have those items any longer, try to find similar items that can do the job just as well. These three tips should help make your packing process more stress-free and ensure you pack the right items. Once you've made your list, stick to it. Any items you did not immediately think were important probably won't be, so there's no use taking them with you. Less is always more, so choose items that are diverse and can easily be combined with other pieces to create effortless summer looks.